Mountain vacations are all about letting the wonders of nature melt away our stress and give us a fresh perspective. Happinest gives you the stress-free environment you're looking for, enabling you to relax in comfort, surrounded by lush vegetation. Happinest's spacious, deck lets you soak in the beauty all around you - OR soak your sore muscles in a sparkling hot tub under the sky. Gorgeous both day and night! 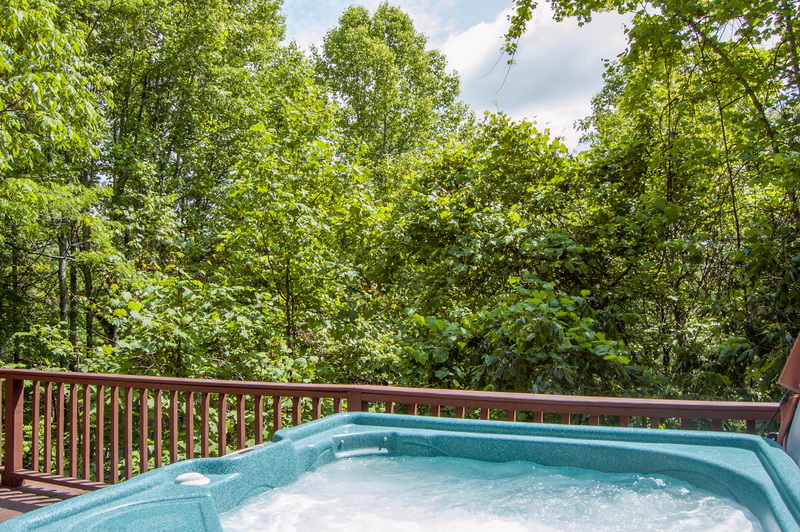 The open upper deck includes the hot tub, rocking chairs, a gas grill and outdoor dining set. The home's upper level provides the main living space, with an open floorplan, cathedral ceilings and lots of windows, so you can appreciate the home's natural setting from both inside and out. The kitchen is sunny and airy, with plenty of space to move around and all the tools and accessories you need for convenient home-cooked family meals or lively entertaining with friends. 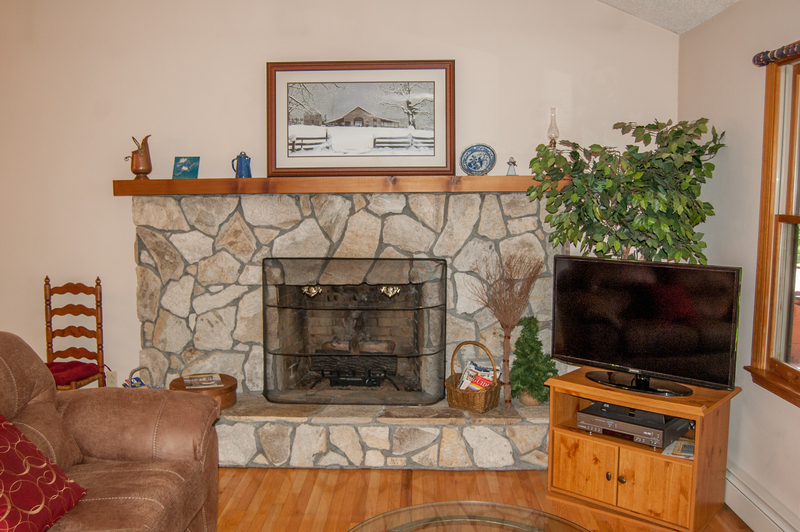 The roomy living area includes a beautiful stone fireplace with gas logs, brand new sofas and a large flatscreen TV with a satellite feed and a DVD player. On the main level you'll find the master bedroom with a queen-sized bed and private bath with a walk-in shower. 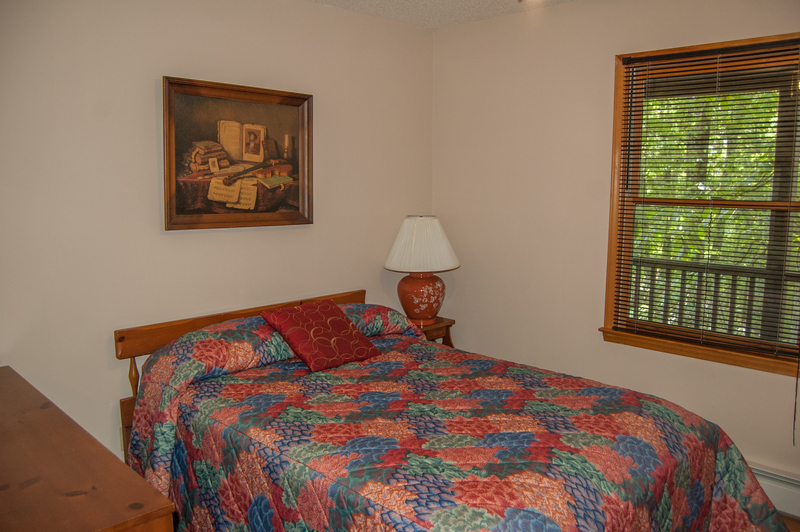 The two additional bedrooms feature a full-sized bed and two twins, respectively. These bedrooms share a full bath with a tub/shower combo. When you're ready to get out and explore, you'll love Happinest's convenient location, with easy access to 221, which is the main road into West Jefferson, one of the most charming, old-fashioned small towns you've ever visited, only 15 minutes away. From 221 you can also get directly to 421, which takes you into Boone, Blowing Rock or the Blue Ridge Parkway. 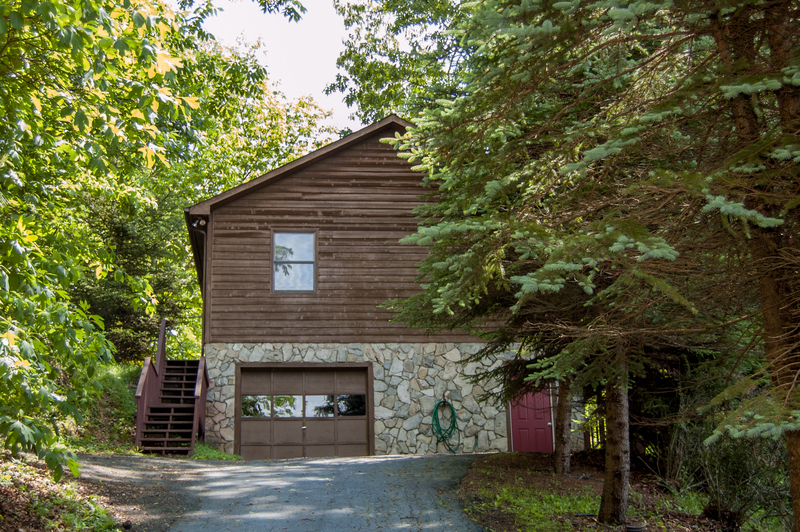 Here you really get the best of both worlds - a home convenient to all the sights and amenities you're looking forward to experiencing, and still secluded enough to provide the peace and privacy you need. Wanna get away? Book Happinest today. Happinest is easily accessible to and from 221, which takes you to West Jefferson to the north, or Boone, Blowing Rock or the Blue Ridge Parkway to the south. In 10 minutes you can be at West Jefferson's gorgeous, challenging and beautifully manicured golf course, Mountain Aire. Drive another 5 minutes and you're in West Jefferson's quaint downtown. Stroll down the main street to browse through shops, antique stores and art galleries. Boone and Blowing Rock offer additional dining, shopping and event options, as well as the campus of Appalachian State, and the lovely Bass Lake, near the Moses Cone manor home. Two natural attractions you don't want to miss here in the NC High Country are the New River and the Blue Ridge Parkway. The Parkway is one of the most scenic drives in America, offering some of the country's most awe-inspiring photo opps, as well as wonderful hiking and biking trails. When you're ready for invigorating water adventures, spend the day enjoying the New River by kayak, canoe or inner tube. The New is a serene, pastoral, slow-moving river, safe for adventurers of all ages. For the bicycle enthusiast in the family, Happinest is only a couple minutes from the scenic Railroad Grade Road - a popular, picturesque bike route that meanders along the river from Fleetwood to Todd, known for its old-time charm. This ride has been voted one of the 10 Best Bike Paths in North Carolina!
" Our family of five enjoyed a very comfortable Thanksgiving holiday weekend here. Our son attends Appalachian State University so it was easier for us to travel from the coast to the mountains to spend Thanksgiving together. 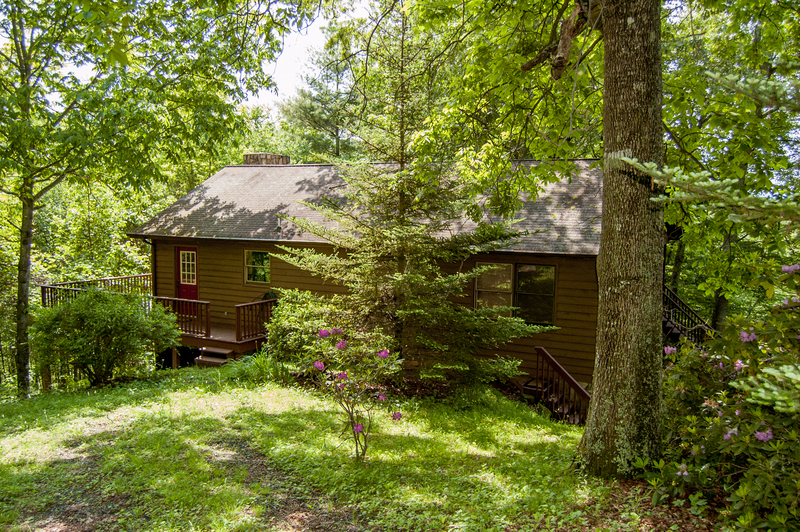 This cabin is easy to find, very clean, very comfortable and well appointed. We cooked a full Thanksgiving dinner in the kitchen, enjoy the fireplace, slept well, toured around Boone and West Jefferson, played ping-pong, did laundry, and had a great time. I highly recommend this cabin. Oh did I forget the hot tub! We enjoyed that as well." 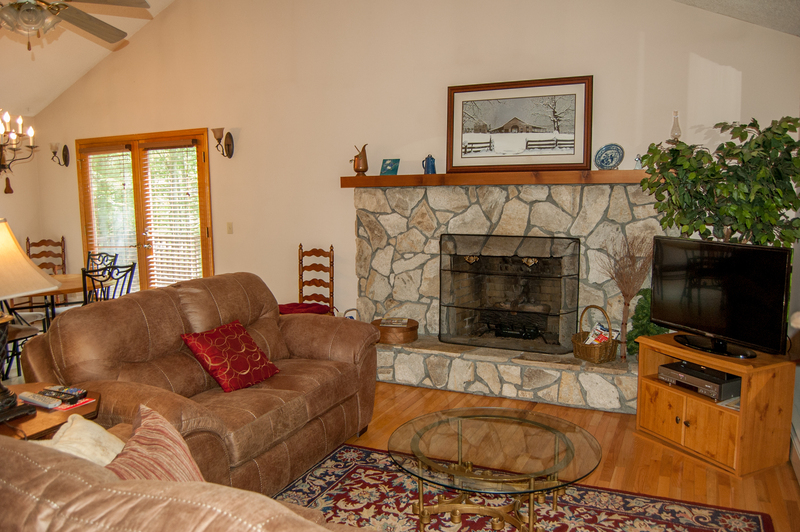 "We were totally satisfied with this rental...the house was extremely clean.. 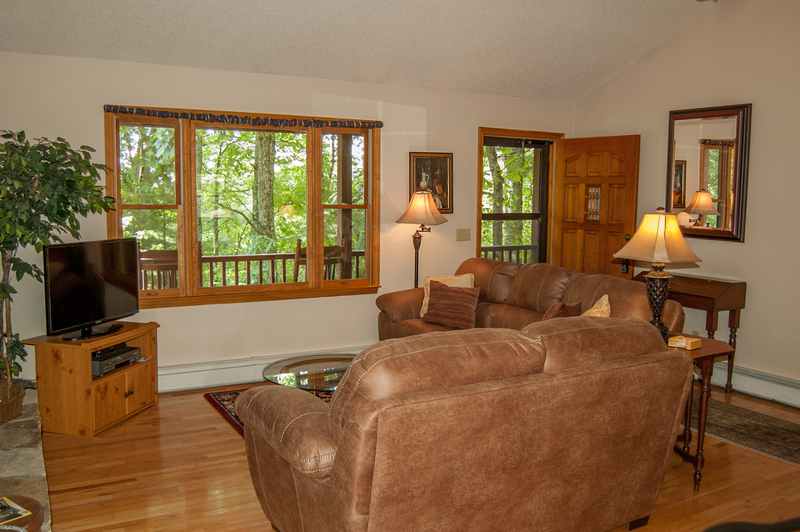 Location was perfect for us...We can highly recommend this rental house.."
"The Hapinest rental was very clean and ccomfortable.We loved the porch and rocking chairs." "Super nice and professional rental company. Everything was exactly as said. A great place to completely relax and get away!!!" "Overall we were sastified with the home. 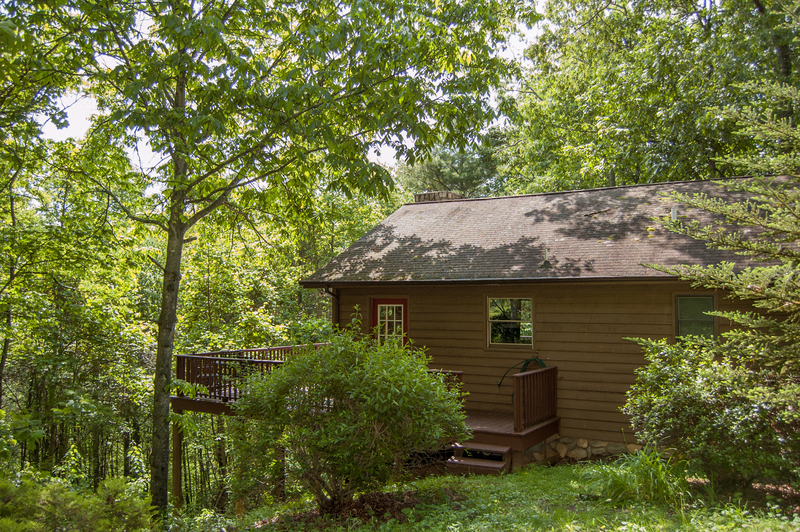 It is not the cabin experience we were expecting, but it is a well equipped mountain home. The location is convenient to West Jefferson and Boone, it has everything needed in the kitchen for preparing meals. 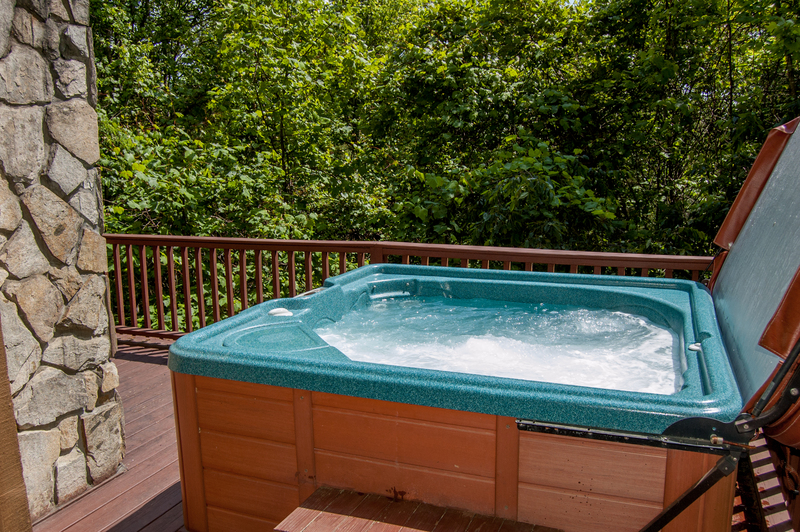 The beautiful wooded view and the relaxing hot tub were the best parts for us." "We have a wonderfull time with our kids, agreat place to scape from the city"
"Nothing fancy here, but it had everything we needed. Loved relaxing in the hot tub after zip lining & exploring. Kitchen has a coffee maker & corkscrew, can't ask for more than that!! " "We had a great time. Very relaxing and plenty of room. No complaints and we would visit again in the Fall. Thanks! "We visited the home for a baseball trip at App State we finished our games more than hour early and called and the lady @ Ashe High Country Vacations & she was so nice and helpful she actually let us check in early which was a blessing because we were hot and tired!!! Entering the home it was very clean and it had plenty of things available for cooking and towels to use for the bath. The hot tub was very clean and it worked which is always a huge plus ... there was also a ping-pong table downstairs that the boys really enjoyed ... this home was well worth the money we spent it's only about 10 minutes away from Walmart and there's lots of other places nearby for shopping and gas. Thanks so much for such a pleasant experience!!! Would return ?????" "The house was pretty much in a neighborhood and not at all secluded as we were hoping for. The gas fireplace did not work and though we could get the pilot to light and the fireplace to come on, it would go out after a minute or so (we have a gas fireplace in our own home and know how to operate so it wasn't a user issue). When we were in the hot tub on the deck, we noticed there was black smoke coming out of the chimney and black soot began falling on our heads and into the hot tub. Fortunately, my husband had noticed a boiler in the basement and realized it must have been vented to the chimney and that that was what was causing the smoke and soot. However, I feel this is something that should have been left inside the booklet so guests would not have been alarmed. Overall, the house was nice, comfortable, clean and a short drive to town, but was not the cozy, romantic weekend we were expecting and was very disappointed." Thank you for the feedback. We really wish you would have called during your stay as it turns out the boiler furnace was on the fritz, thus the reason for the soot, and it went completely out the following weekend. If we had been made aware sooner we could have also saved the following weeks guests the issue of no heat late Saturday night. The furnace has now been repaired so this is no longer a problem. We do ask to please call us if you run into any issues so we can attempt to remedy them during your stay as well as prevent any future issues for other guests. Future guests: This property is located in a neighborhood and you do pass homes on the way in but once you are at the cabin the covered porch side as well as the hot tub location are private. The gas logs are also on schedule to be serviced but are currently working as well. "The location of this house if perfect for my family gathering in the area. 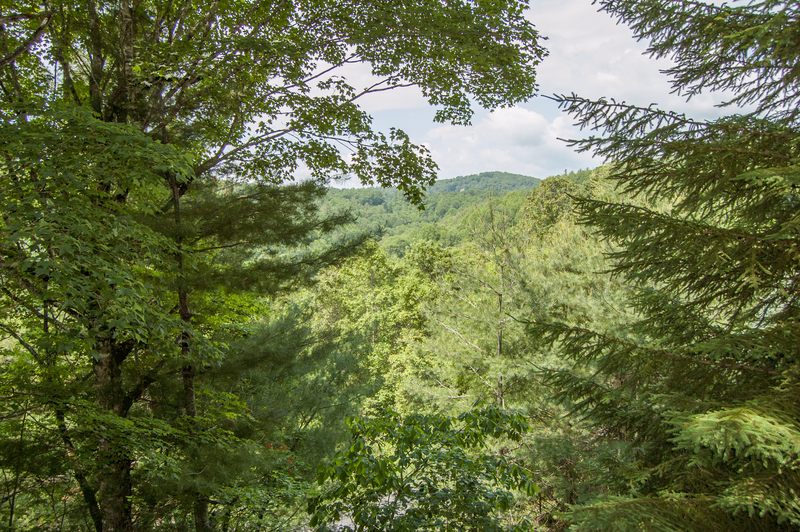 It is also close to the Blue Ridge Parkway, Boone, and Blowing Rock for many recreational opportunities. The hot tub is sparkling clean. I've stayed here before and would stay again." "We went for the weekend and the weather was perfect, this was our 2nd trip through Ashe county properties and just like the first the cabin was clean and neat with a nice note on the table on downfall with the cabin was the gas logs wouldn't light but with a nice hot tub and the trees changing colors who wants to be inside any way "
Thank you for your response! We are happy that you enjoyed your weekend. Thank you for letting us know about the gas logs and we are checking on that. Thank you for staying with us! "We greatly enjoyed our stay at Happinest. The location was perfect. We were close enough to drive into Blowing Rock and shop and eat and close enough to Boone to tour Appalachian State University with out daughter and enjoy a zip line tour. The cabin was located on a gravel road that was secluded enough to be quiet and relaxing while also allowing us a path to walk our dogs and enjoy mountain scenery. The rental was clean and well equipped. " Thank you for your review. We are glad that you enjoyed your mountain get away and was able to enjoy some mountain scenery. "It was exactly the break my family needed. The house is surprisingly well stocked and very clean. The quality of the furniture and maintenence of the house is wonderful. The hot tub and views are amazing. Thank you! Everyone I spoke with was professional and courteous. We can't wait to plan our next trip!"